Dolphins are master healers and keepers of the light upon Planet Earth. Healing of self and others is as natural to dolphins as breathing. Like the angels, the dolphins' influence transcends time, space and physicality. It is not necessary to be in their physical presence to be healed by them and to receive their gifts. Dolphin Energy Healing is a specific, intuitive modality of energy healing. In a Dolphin Energy Healing Session, the healer acts as a vehicle for the energy and consciousness of the dolphins. 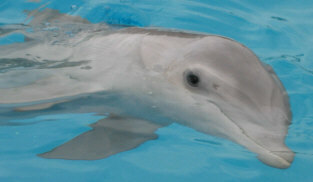 The client receives the same energy that she would receive by swimming with the dolphins physically...and often more. Dolphin Energy Healing is not about fixing something that's wrong. It is about nurturing the wholeness that already exists within each and every one of us. The dolphins are eager for this new form of spiritual healing to spread across the planet. This is one way for their frequencies of love and joy to be anchored into the hearts of humanity. The ability to transmit dolphin healing energy is a natural outcome of the Attunement process. The power, clarity and depth of dolphin energy that a student can bring through increases with each Attunement. In the third element of the school, Dolphin Healing Arts, students receive specific, in-depth training leading to mastery of this unique energy healing modality. As a graduate of this school, whether or not you choose to become a certified practitioner, transmitting the Frequency of JOY becomes a part of who you are, and permeates everything that you create and do.